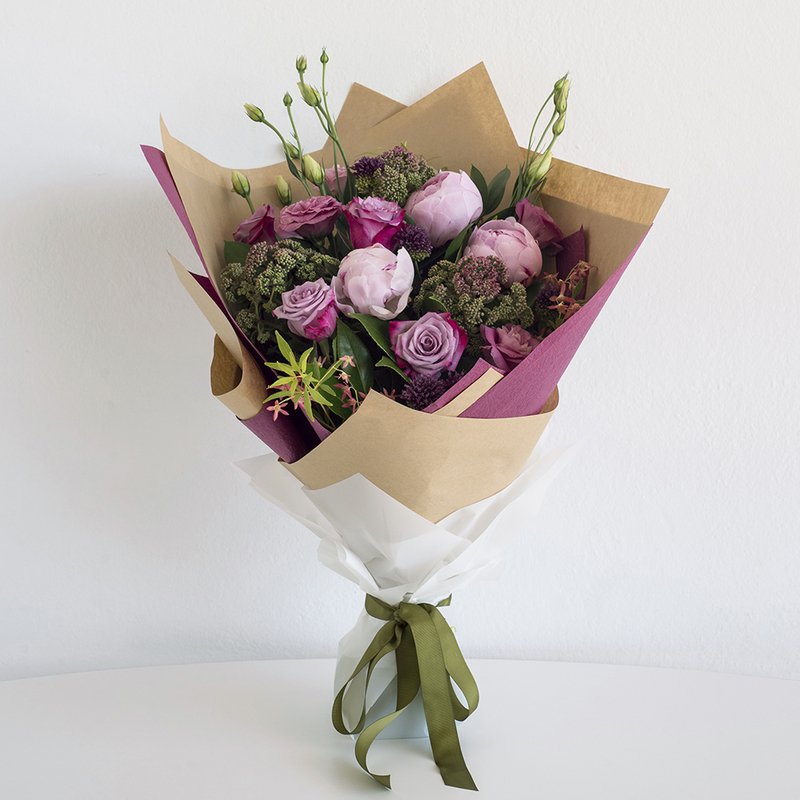 An exquisite hand tied bouquet including a mixture of pink roses and a variety of pink seasonal blooms with complimenting foliage. Each season will vary as to what we can choose for you but we will always choose the best blooms to be used with endless choices all year round! Your bouquet will be beautifully gift wrapped, finished with a water bag and ribbon. It also comes with a complimentary gift card for your personal message.